In an image “along the waxing and waning rhythm of nature”, Takashi Watanabe named his studio “MoonRounds”. 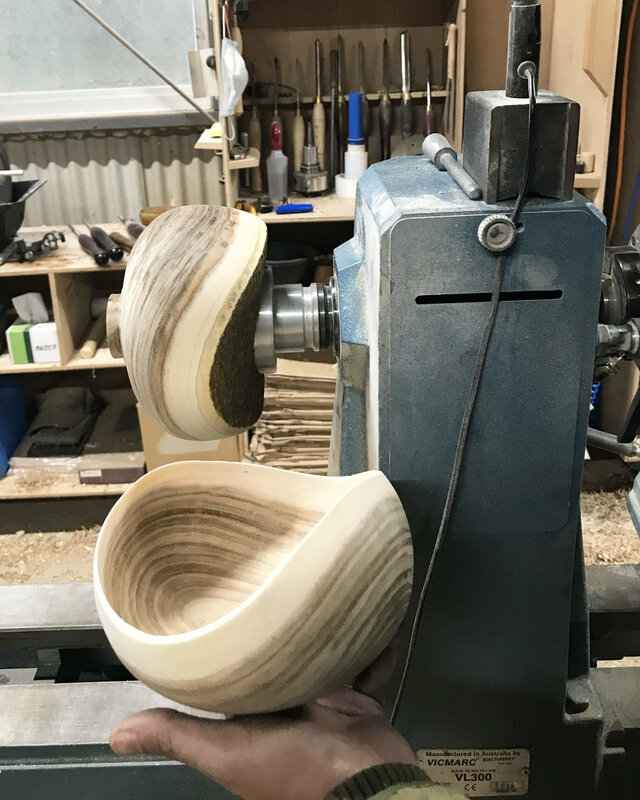 While spinning his lathe in his studio, Takashi makes plates, bowls, vases, and other “vessels”. As a woodworking artist, he dyes his works with natural oils and grasses. When you look at his works, you can see there is a story in each one. “This is the tree that fell in the last typhoon,” Takashi said, pointing to the fallen tree that collapsed the prefectural road. This thick, 300-year-old cedar was both evidence of the long history of Yoshino forestry, as well as the danger of living with nature. A street tree that was chopped because it grew too large and was about to fall was also lined up in the MoonRounds studio. 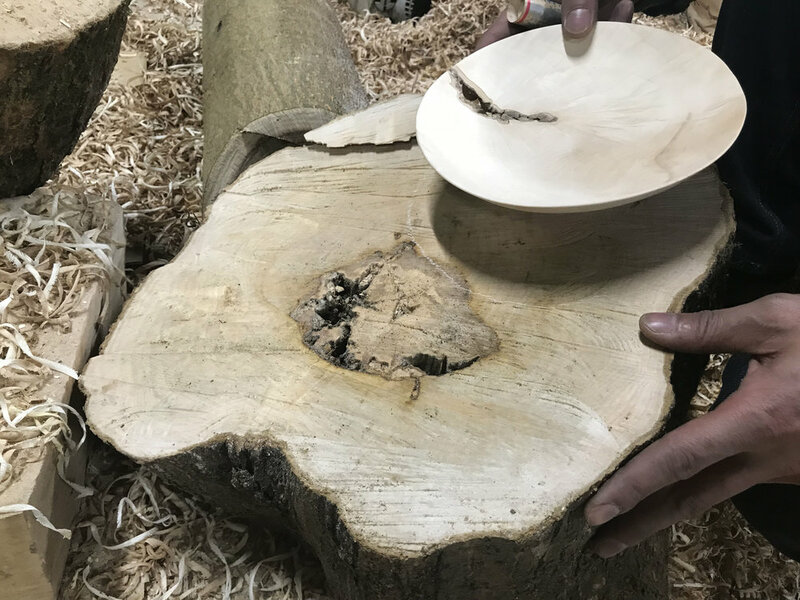 Trees with a connection to something often arrive at Takashi’s studio. Even with scars or knots or deformations, Takashi brings those so-called “flaws” to life as “characteristics”. Characteristics that suggest the history of a tree. Characteristics that remind us that every tree has had a different, unique experience. Of course, Takashi also uses trees with no scars or knots too. Works made of Yoshino cedar, Yoshino cypress, cherry tree, horse chestnut, and camphor tree are lined up on his shelves. The year rings on a large flat plate gradually melt into what looks like a long cloud on the plate. The year rings on a vase softly ebb and flow like the tide. The lip of a bowl cut inline with the year rings looks like a long wave far away from the shore. Even without counting the winter rings, I feel the course of life while looking at the works of MoonRounds. The thought that goes into creating each work, the people who have lived with the trees, the trees that have evolved with the earth. It is the passing of life that cannot be measured by a clock. Even if it is not something you use everyday, living with these kinds of works is a way to say thank you for that time. Above the MoonRounds studio is a temple called Miroku-ji. 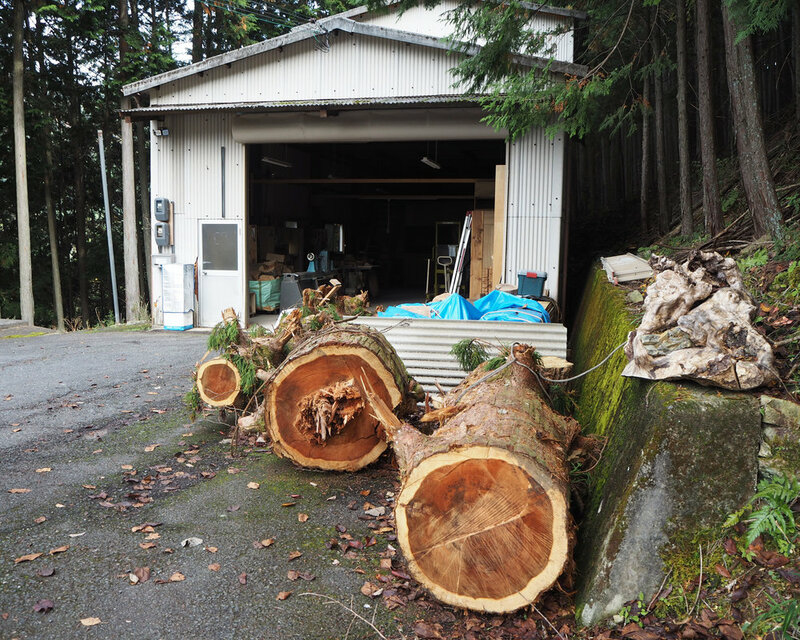 Takashi lends his woodworking abilities to help renovate it with his neighbors. A few times a year, they hold an event called “Miroku Tea House”. A neighbor researches the history of Miroku-ji and makes pamphlets for the participants. Takashi’s wife performs rakugo storytelling, throwing in inside jokes for locals. Participants sit on floor pillows while munching on persimmon leaf sushi and laughing together. I feel like this environment is evident in the work of MoonRounds. Miroku Tea House, formed via everyone’s unique skills. MoonRounds, bringing to life the natural patterns and colors of trees and grass. Both of them have a warmth that brings people in. From both of them emanates the beauty of a lifestyle along the rhythm of nature.